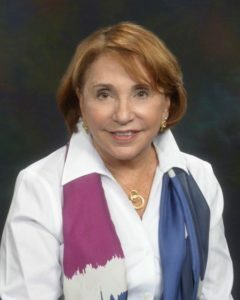 With over 30 years of experience leading diverse teams and executing strategic and business development plans across sectors, Ms. Bramson’s lifetime achievement has been advancing leadership opportunities for women includes advocacy for gender equity across corporate, government and non-profit sectors. Ms. Bramson served as the first CEO of the Girl Scouts of Eastern Massachusetts, a position she held for over 5 years, retiring from that role in December 2013. Prior to that, Bramson was Senior Vice President of Human Resources for National Grid and Senior Vice President of Human Resources for Shaw’s Supermarkets/Star Markets from 1995-2002. As Shaw’s Supermarkets/Star Markets’ first woman senior executive and Board member, Ms. Bramson continued to break ground with the development of a progressive “Women at Work” campaign, significantly increasing the number of women in managerial roles. Ms. Bramson led the management of multiple organizations’ mergers and acquisitions, including Shaw’s and Start Markets, National Grid and KeySpan and New England Gas, and finally with Girl Scouts of Eastern Massachusetts. While working in the corporate sector, Ms. Bramson established Suited for Success, a nonprofit that supports economically disadvantaged women towards self-sufficiency, leading the organization for six years until its merger with The Crittenden Women’s Union. Appointed as the first Chief Human Resources Officer and Chief Diversity Officer for the Commonwealth of Massachusetts in the Romney Administration, Ms. Bramson received the Shared Services Leader of the Year for North America Award in 2005 for innovations in state government. In 2010, Ms. Bramson was appointed co-chair of the Diversity Sub-Committee for the Governor’s STEM Advisory Council, and she currently sits on the STEM Council’s Operations Board. In 2013, Ms. Bramson was one of 16 women appointed to Mayor Menino’s Women’s Workforce Council, which is working to help the women of Boston achieve pay equity. Ms. Bramson’s board service includes Junior Achievement, Women’s Advisory Board of the Association of Latino Professionals in Finance and Accounting (ALPFA), the Board of Governors of Tufts Medical Center, the Board of Overseers for the Mother Caroline Academy & Education Center, the Board of Massachusetts Nonprofit Network, Board of Advisors for the Center for Collaborative Leadership at the University of Massachusetts Boston. She also serves as a Trustee Emeritus at Middlesex Community College. Since retiring from the Girl Scouts, she has devoted herself to working with several nonprofit organizations to build their capacity and has been lecturing on subjects of change management, nonprofit management and leadership. Ms. Bramson’s recognition of her lifetime achievements include induction to the Junior Achievement Business Hall of Fame, the Boys & Girls Club of Dorchester New England Women’s Leadership Award, Color Magazine’s Inclusive Change-Agent Award, the Massachusetts Women Political Caucus Abigail Adams Award, the Boston Business Journal’s Lifetime Achievement Award for the Advancement of Women, the Ad Club’s Rosoff Award for External Diversity and the Metro South Chamber of Commerce’s Athena Award. Ms. Bramson is a noted international lecturer, public speaker and author, most recently speaking and writing on STEM education issues, domestic violence prevention, leadership and strategic change. Ms. Bramson studied at Cornell University’s College of Arts and Sciences. She is a graduate of Barnard College at Columbia University and holds a master’s degree from Boston University’s School of Education. She completed Harvard University’s Executive Leadership Program for women and a joint Harvard Law School-MIT negotiation program. She resides in Boston with her husband. They have five children and nine grandchildren.